Infographics are awesome for a number of reasons. Infographics are graphical representations of information–hence, they are called infographics. They can more easily give information. You can cram many pages of information into a single infographic. 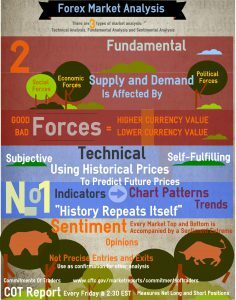 Take, for example, a page from the book Infographical Forex. 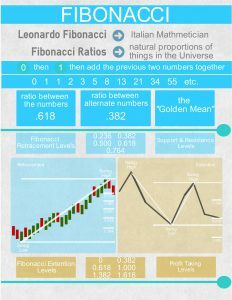 This page is about using Fibonacci numbers in trading. It would take an entire book to present this information that is contained in a single infographic. They are more persuasive. They leave less doubt when complex or controversial topics are presented as images. When the same information is presented in a list form with no pictures, the observer could question the data. When solidified with charts and pretty pictures, there becomes less doubt. This works on a subconscious level and is used in media all the time. 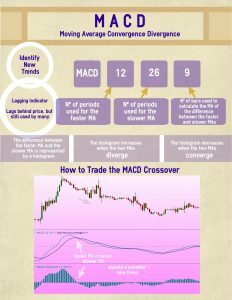 This is an infographic on the MACD indictor, which is used in trading. Since it took time to put this information down in a graphical format, the facts must have been double and triple checked, right? Although, this infographic is accurate, our subconscious mind in more likely to think it’s accurate anyway–even if it wasn’t. They keep the reader interested. Even if the reader wasn’t interested in the subject being presented, when presented as an infographic, it is much more interesting. 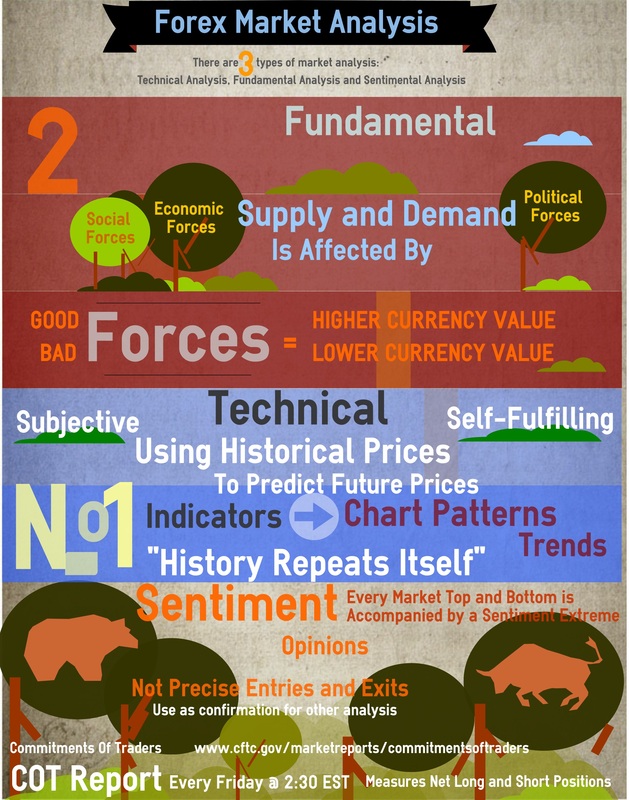 Take, for example, this infographic on Fundamental Analysis. The information on this single page has also been presented as entire text books. Do you think a reader would pick up a 500 page book on Fundamental Analysis or a single page that presents the same information? Even if the reader wasn’t interested in the topic, the single page would be browsed. They are more understandable. The brain doesn’t have to process as much to understand an infographic than it would if given pages of data. 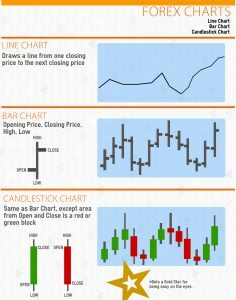 In this infographic, the reader can understand the various trading sessions around the world without even having to look at the data at the bottom. They are not just pretty pictures. 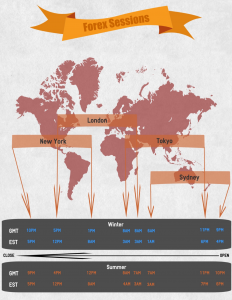 Infographics show valuable information. 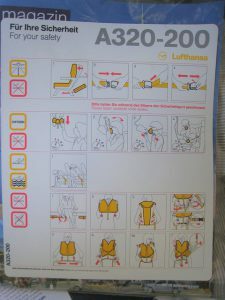 This infographic is understandable even if the plane passenger doesn’t speak the language. It is very valuable information. They are more appealing. Infographics give us the opportunity to use the right side of our brains–the creative side. A text book with only data would be analyzed by the left side of the brain–the analytical and objective side. They give us a chance to use our entire brain. This infographic, although mostly words, works both sides of our brains because of the colors used in the presentation. They get more attention. It’s the same reason Instagram is more appealing than Twitter. Images work. 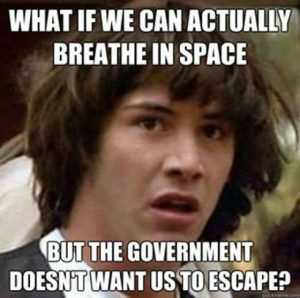 Memes are popular because they are words with pictures. If they were only words, no one would care. And if they were just pictures, not many would care. It’s the combination or words and pictures that makes them work. Not an infographic, but an example of why words with pictures get more attention. If it was just one or the other, no one would care. They are more exciting (or less boring). People would rather be excited than bored. 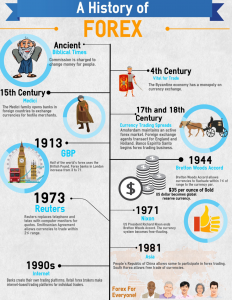 This infographic presents the history of the foreign exchange market. It is a boring topic–to most–yet becomes exciting when presented this way. Infographics are easier to remember. This one is, in my opinion, the most important–so I saved it for last. Many studies have been done showing that we retain information much longer when presented visually, as in an infographic, as opposed to just text. The information in this information will be retained longer than if it was presented with only text. It shows three different types of charts used in trading. 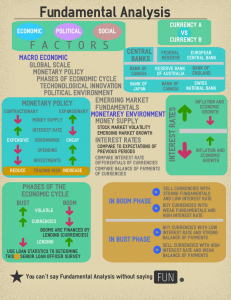 Most of the infographics used in this post are from the book Infographical Forex. Do check it out if you are interested and want more information on that topic, or just to have a cool coffee table book.